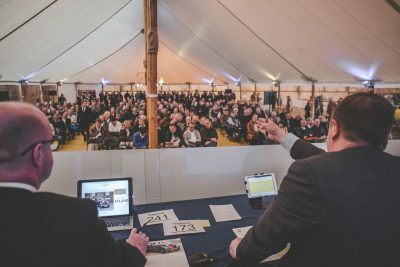 The inaugural auction saw over sixty cars go under the hammer in a day of sales to a truly global bidding audience with standing room only at the event in one of Bicester Heritage’s WW2 hangars. The impressively restored 1923 Vauxhall OD 23/60 Kington Tourer was the standout vehicle up for auction, the unique classic sold for £71,500. While pre-war classics proved popular throughout, with an elegant 1927 Delage DIS Colonial Tourer, still sporting its original Phizakerley of Sydney coachwork in eye-catching powder blue and with a wonderful milled aluminium dashboard, shooting well beyond estimate to finish on £49,500, a number of post-war cars were also highly desirable. Plenty of Jaguars joined the line up, with a stunning 1955 Jaguar XK140SE Coupe, resplendent in dark red with a lovely tan hide interior, fetching £55,000. Another, a 1971 Jaguar E-Type S3 V12 Automatic Coupe with a 350bhp Forward Engineering-tuned 5.7-litre V12 engine, smashed its estimate to finish on £42,900. A 1980 Rolls-Royce Camargue, the most expensive car in the world when launched in 1973, and just one of 531 went for a reasonable £31,900. Bargain prices on iconic cars continued with a 1996 Mercedes-Benz SL60 AMG snapped up for £26,620. 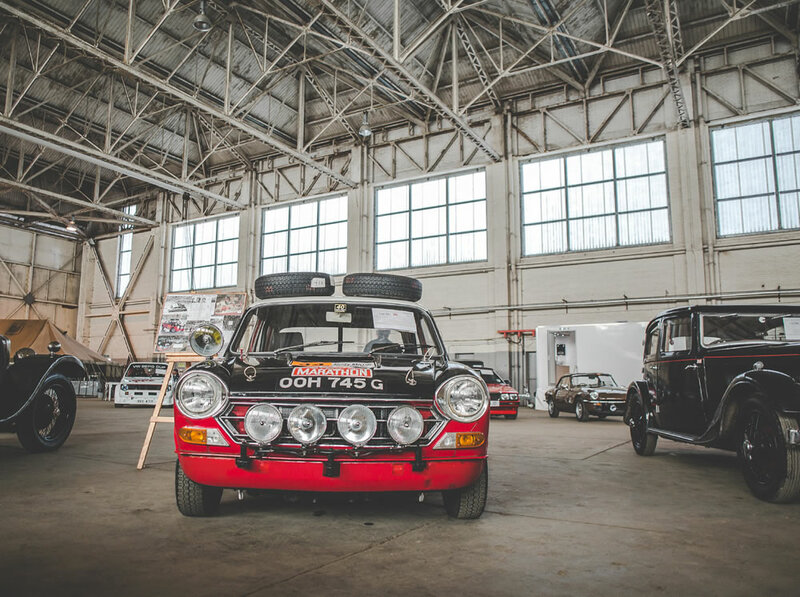 Whilst a former concours-winning 1962 Ford Zephyr Six MkII Convertible fetched £25,575, while a nicely restored 1960 Triumph TR3a raised an impressive £28,050, making the ex-1970 World Cup Rally Morris 1800S MkII was a steal at just £25,850. 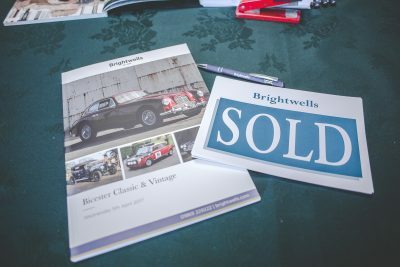 Brightwells, who now have a new outpost office in The Guard House at Bicester Heritage are now taking entries for their next sale at Flywheel Festival at Bicester Heritage on the 24th-25th June 2017. Flywheel is a celebration of pre-jet age motoring, military and aviation endeavour with over 100 cars demonstrating on the airfield and plenty of airborne action too. 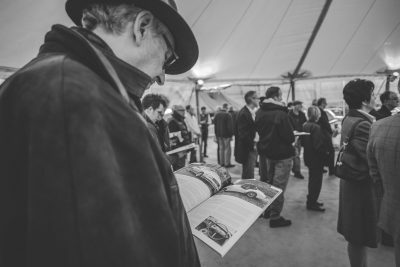 Bicester Heritage is the centre of excellence for historic motorcars and aircraft in the heart of England, with over 30 specialist businesses operating from the 348-acre Oxfordshire site.